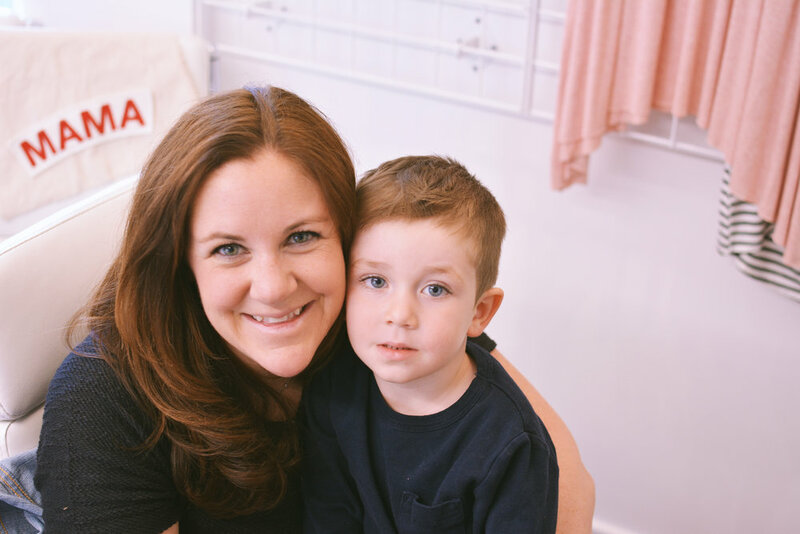 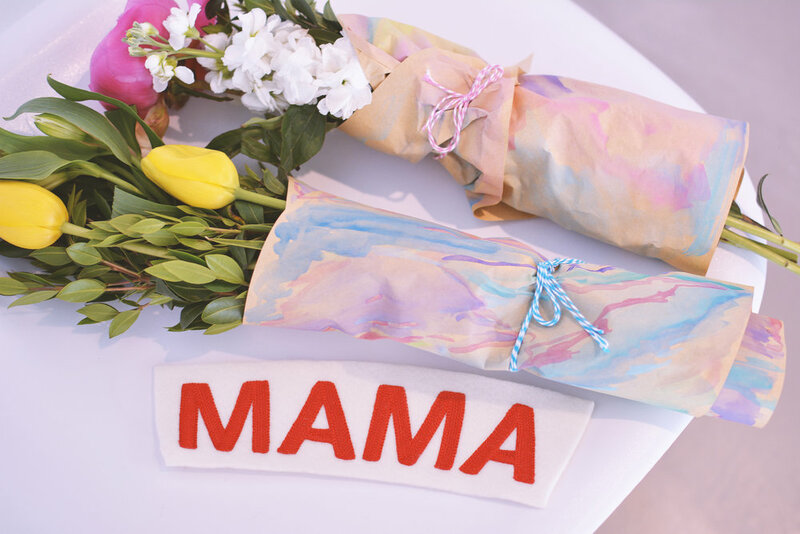 If you hadn't guessed, we're all about that special bond between Mama + Babe. 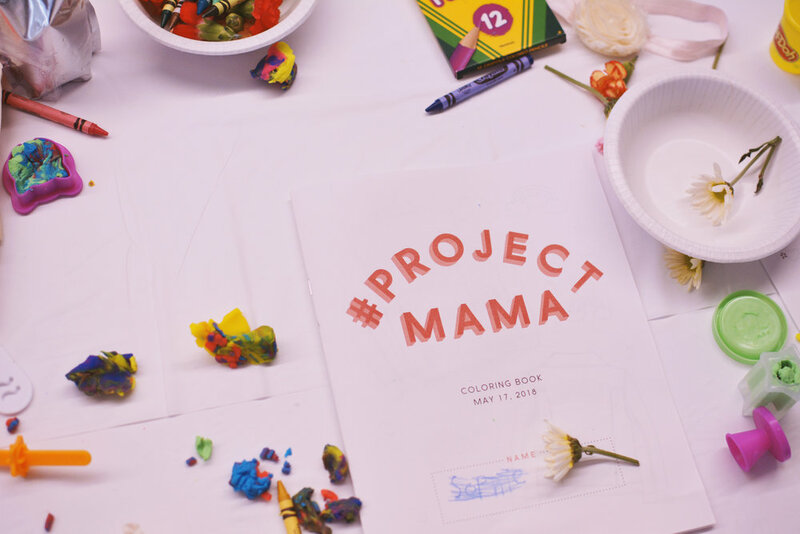 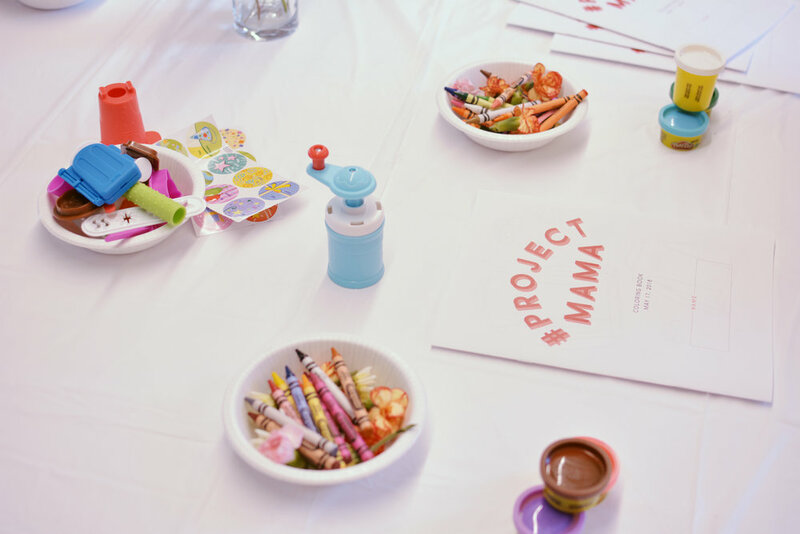 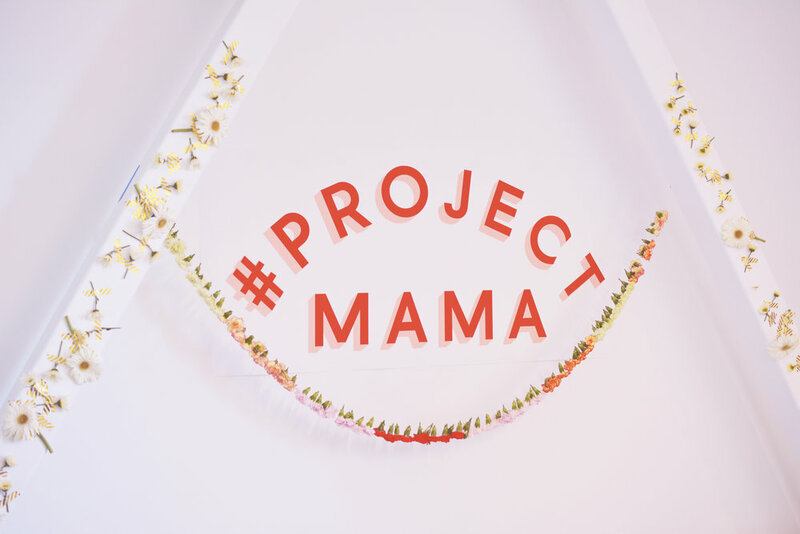 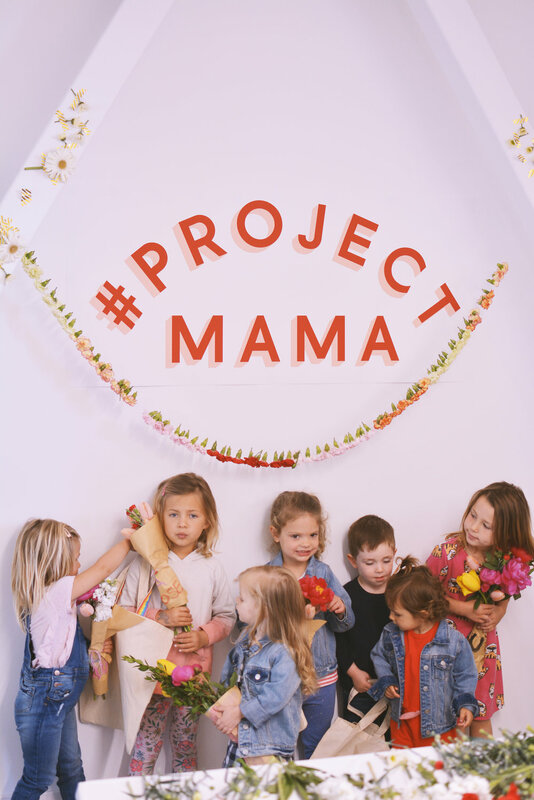 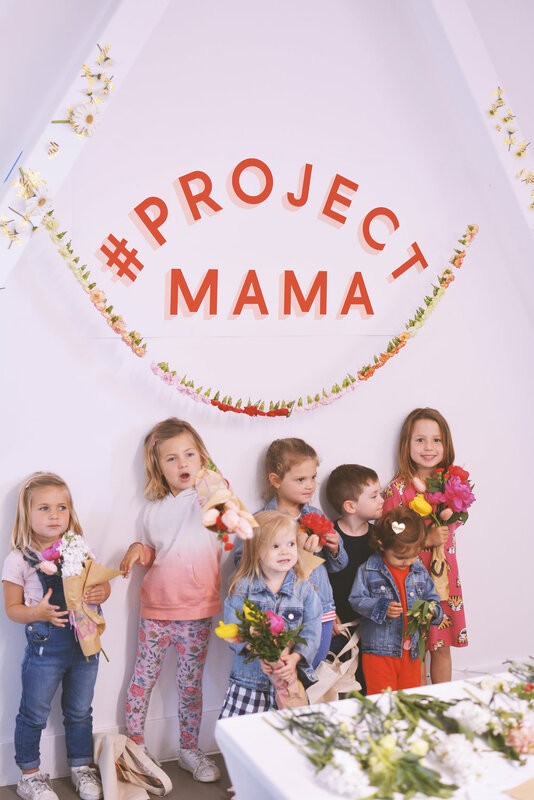 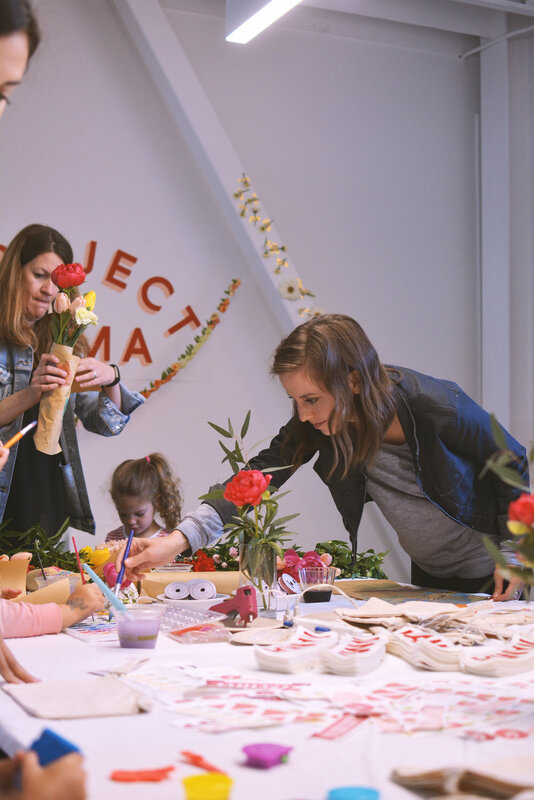 To continue on the celebration of our Mother's May, we hosted an event in our office called #ProjectMama. 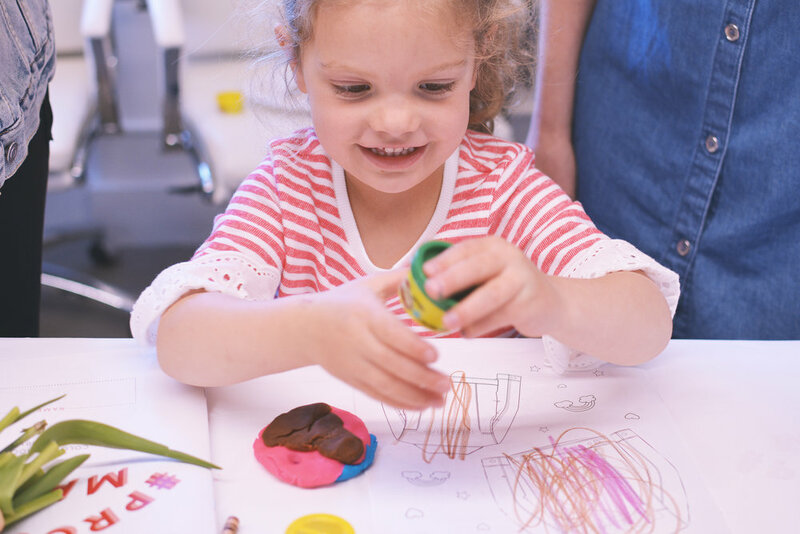 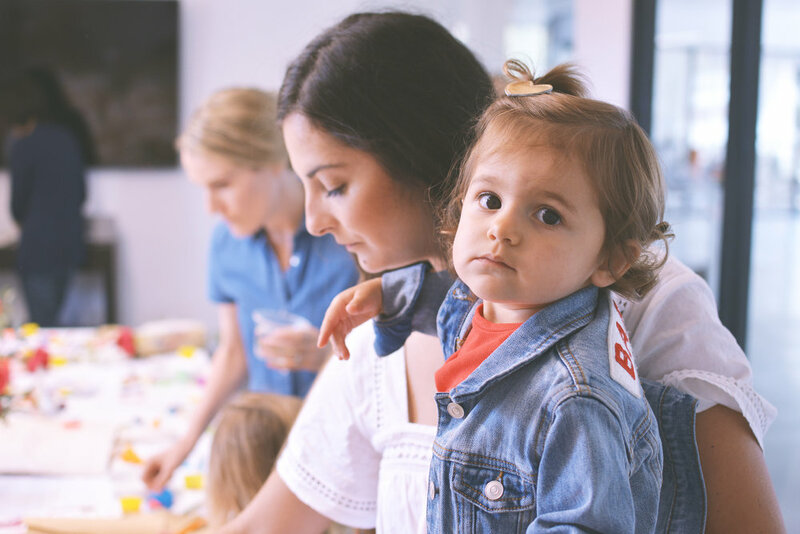 It was a morning of crafty DIY projects, yummy breakfast treats and of course the awesome chance of participating in "Bring Your Babe To Work Day". 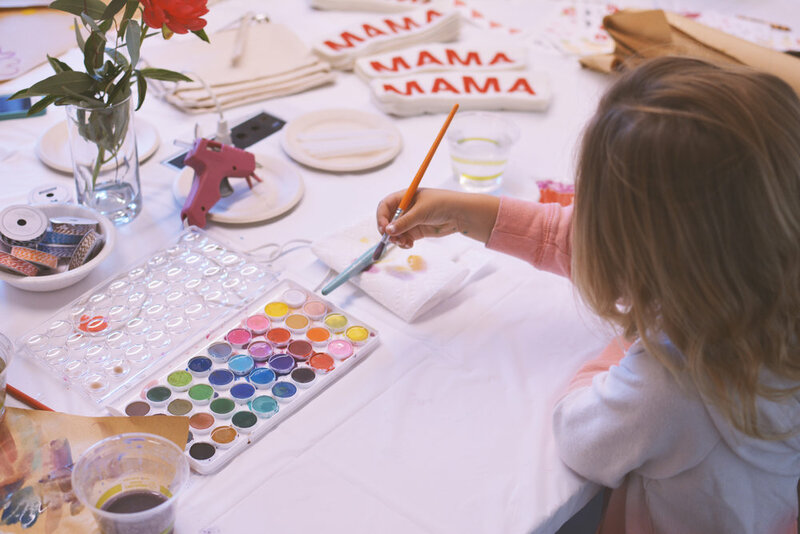 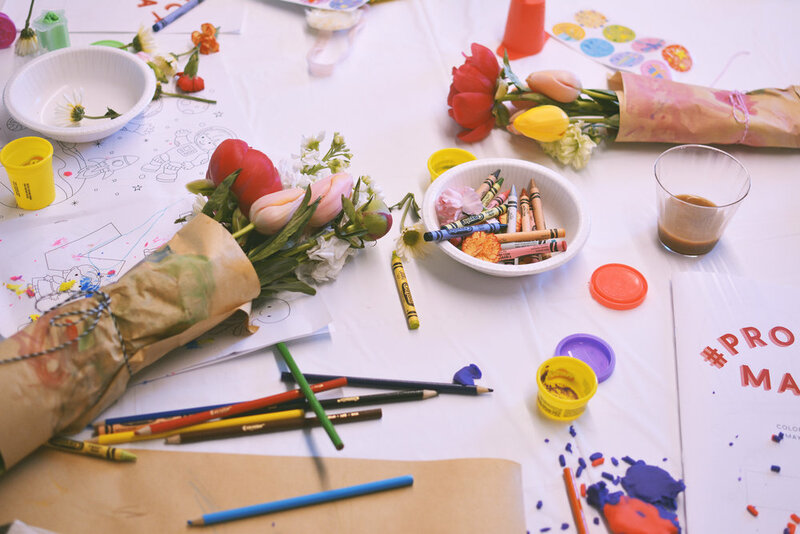 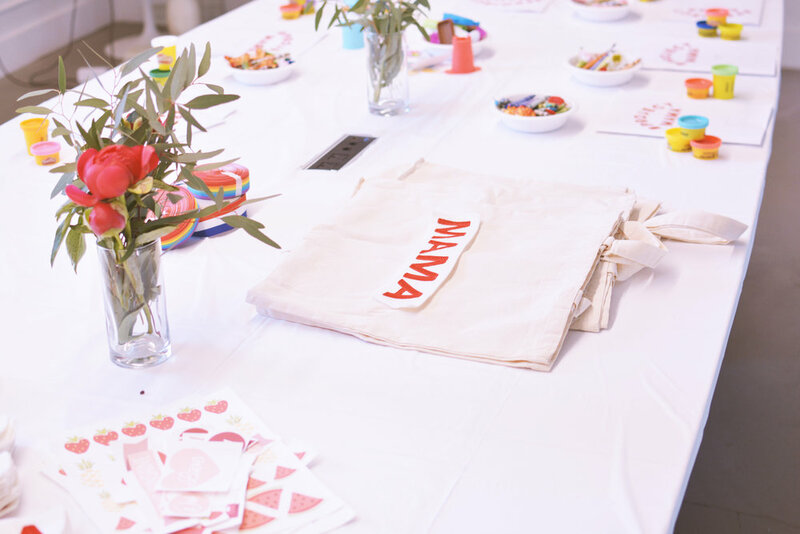 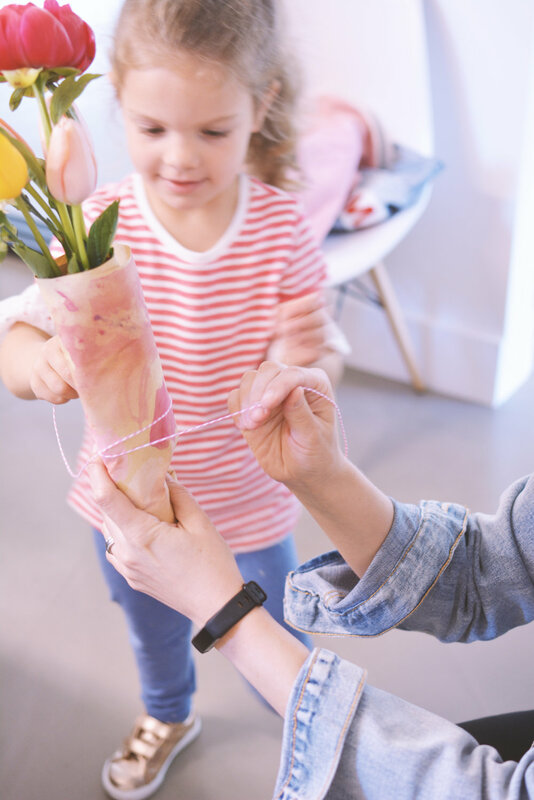 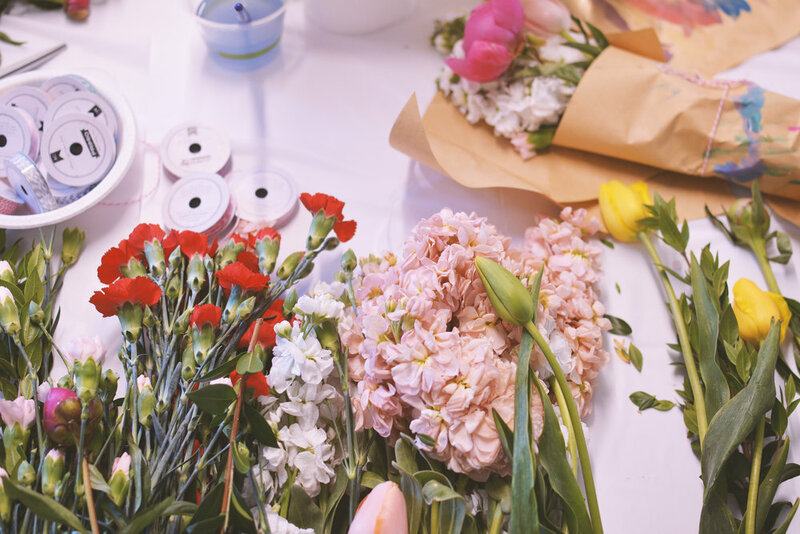 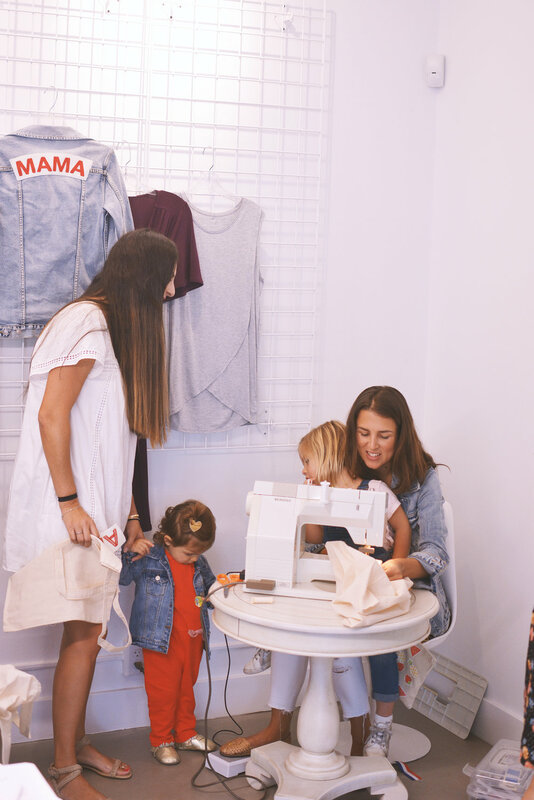 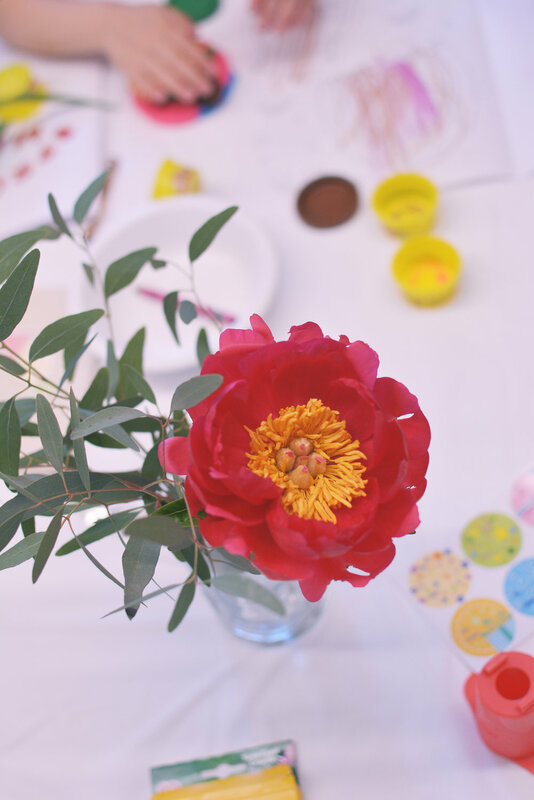 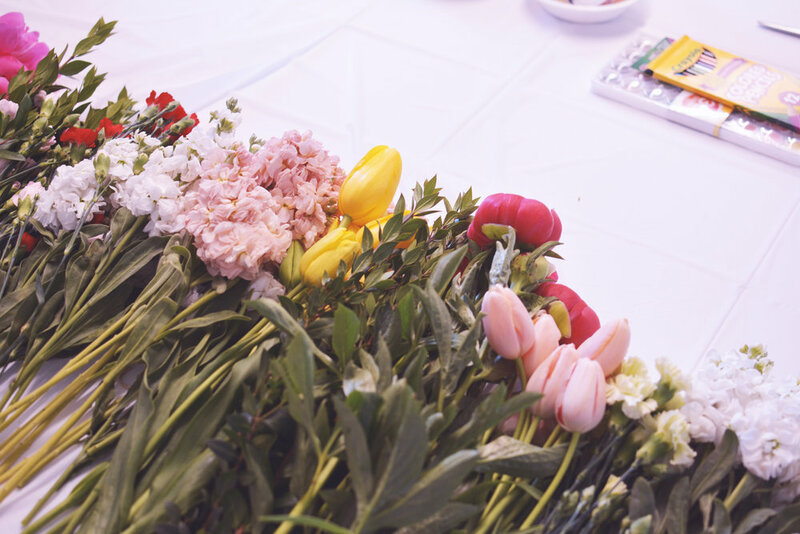 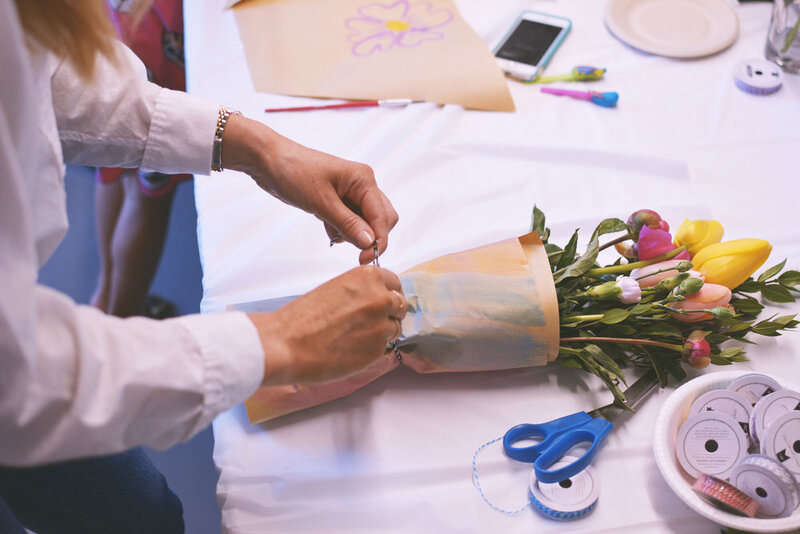 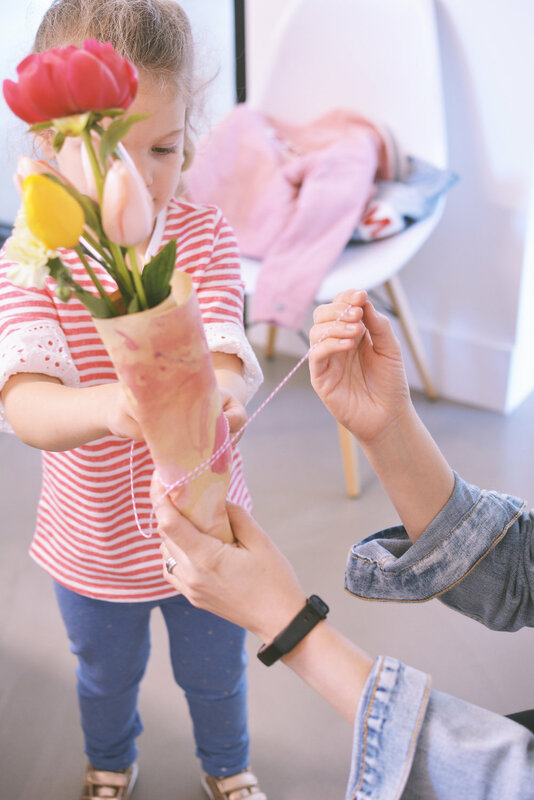 Laid out in the center of our conference room turned DIY center were "do-it-yourself" bouquet arrangement making, personalized tote bags and pouches and special Mama + Babe coloring book for kids to take home as an additional souvenir of the festivities.